As the dominoes that are Sydney live music venues continue to fall, there are two men stood firm bracing the impact. Jake Smyth and Kenny Graham are the co-founders of Sydney stalwart Mary’s Burgers. Since its inception in 2013, the Mary’s name has taken over the coolest corners of a city in dire need. Their devil-may-care approach has spawned a CBD sister location and the ownership of prime watering holes like The Landsdowne and Paddington’s Unicorn Hotel. 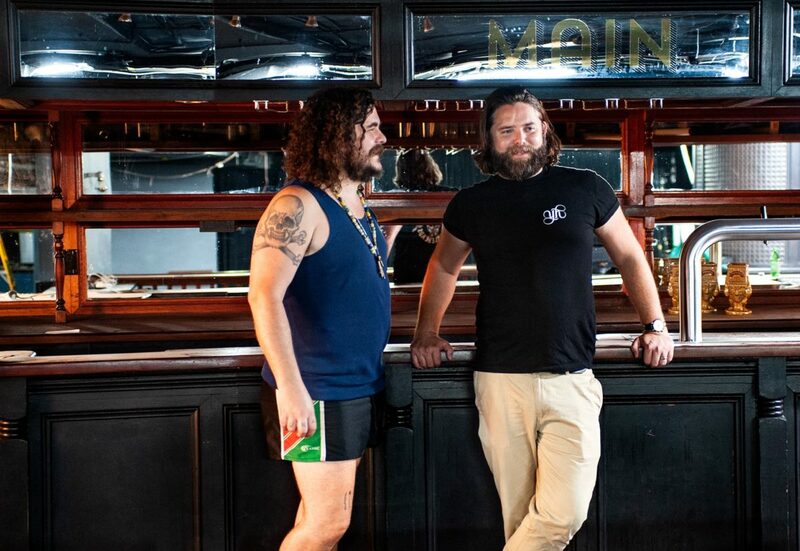 With an ethos of delicious grub and quality live music, the burly pair have partnered with Matt and Dan Rule (Music and Booze Co.), former owners of the once mighty Annandale Hotel, in bringing top draw sounds to the punters of Sydney. As if this merrymaking empire wasn’t enough, The Big Coat Hanger’s knights in shining armour are set to revamp the harrowed underground of The Basement. Opened in 1973, The Circular Quay bar has hosted some of the world’s best—Prince, Neil Diamond and Herbie Hancock are amongst the giants to grace the subterranean stage. Upon April 2018 and after 45 years of patronage, The Basement shut its doors, citing Sydney’s strict nightlife regulations and struggling profit margins as catalyst. When those seasoned hinges swing open later this year, there are rumours as early as May, it’ll tout the shiny new title of Mary’s Underground. Not just a pretty face, the venue will undergo major renovations over the coming months. The original stage will be an upper level seated area, in which to gain a better view of the new performance space being built on the northern wall. There will be quick eats upstairs—lunch for the office worker on the go, while the basement will keep the restaurant and live shindigs. Mary’s Underground will partner both music and food on a level playing field. A once pillar of jazz, 2019 will nurture everything from rock to electronic, jazz to acoustic—thus continuing the grassroots approach the Mary’s boys hold most dear. It’s a place for musicians, aspiring, established, domestic or international—hallelujah! A welcome sigh of relief, every night will host live music with the majority of it being free!